In July a chapel full of Little Sisters, family and friends rejoiced as Sister Bernadette Rose Spelic made her first profession of vows as a Little Sister. 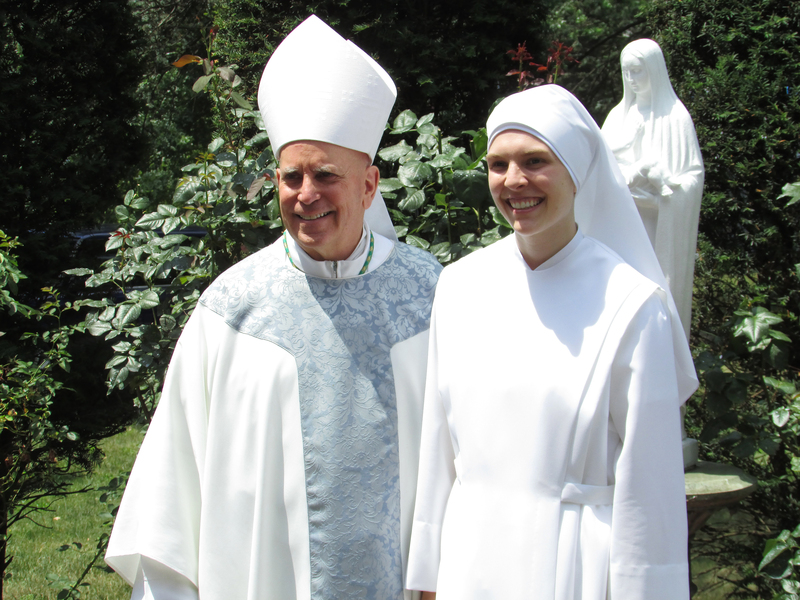 Sister Bernadette Rose with Archbishop Samuel J. Aquila, of Denver, principal celebrant. A native Nebraskan, Sister Bernadette Rose moved to Colorado and first got to know our Congregation in Denver. She attended Benedictine College in Atchison, KS, took a spring break service trip to our Home in Boston; and then spent her free time with our Sisters in Kansas City, MO as she continued to discern her vocation. And now she is heading to Newark, Delaware for her first assignment as a Little Sister at the service of the elderly! On Saturday we also learned that Sister Lizeth María Chamarro, a native of Peru who met our Little Sisters while studying at the Colorado School of Mines, and who just made profession at our novitiate in Santiago, Chile, will be returning to the United States to serve at our mission home in Gallup, New Mexico. Finally, last weekend we also welcomed two young women who entered the novitiate on July 15. Sister Angela Marie Clare Conti, a Maryland native, and Sister Teresa Marie Moore, from St. Paul, Minnesota, both worked in our Homes as employees when they discerned their vocation. 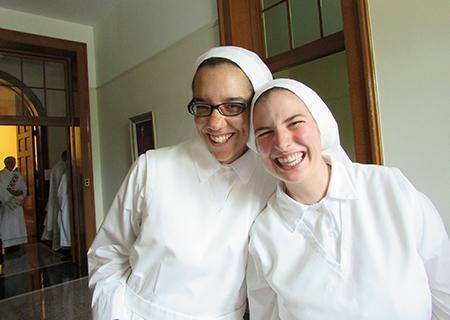 Our new novices, Sr. Teresa Marie (left) and Sr. Angela Marie Clare. As Sister Bernadette Rose heads out on mission, our new novices begin their two-year novitiate at St. Ann’s. If you know a young woman who loves God and the poor, please share this email with her and encourage her to contact us for more information at serenity@littlesistersofthepoor.org.